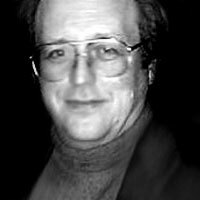 Frank Higgins was a member of the first graduating class of UMKC’s Professional Writing Program. He has published two books of poetry, two books of haiku, and a number of plays. Frank’s play Miracles, which started at Missouri Repertory Theatre, has played to sellout audiences in Virginia and was produced at the Old Globe Theatre in San Diego for a six-week run in 1997. A scene and monologue from the play were chosen for the annual anthologies Best Scenes of 1996 and Best Monologues of 1996. His play The Sweet By ‘N’ By has been produced around the country, including the Williamstown Theatre Festival where it featured Tony-winner Blythe Danner and her daughter Gwyneth Paltrow. The play was later produced at the Barter Theatre where it became one of the biggest hits for a straight play in that theater’s 65-year history. Another play by Frank, Gunplay, has been produced in New York and Los Angeles, as well as having a few scenes read before Congress on Capitol Hill. His play, The Country of the Blind, debuted at the Coterie in Crown Center in 2007.